It's hard to do anything nowadays without being tracked: surveillance is widespread. It isn't just Google’s invasive ad targeting that people need to watch out for (as our Eyes On You Quiz demonstrates). Turning off geolocation, using fake names to join online services, disguising your Internet Protocol (IP) address and encrypting your data with a Virtual Private Network (VPN) will all help to protect your privacy. However, now news has emerged that demonstrates that even people who do their absolute best to protect their privacy are still at risk. The controversy surrounds a pizza shop from Oslo, Norway, which let slip that it is using facial recognition software to scan its customers. 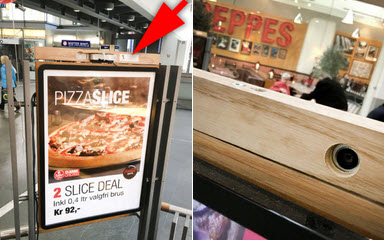 The story broke after someone snapped a picture of a digital sign outside Peppe's Pizza in Oslo. The sign normally serves customers adverts about special offers and the pizza shop’s menu. As you can see from the following image, however, the digital billboard also has a camera at the top. Shockingly the crashed sign reveals the workings of the pizza shop’s dystopian facial recognition system. The broken billboard provides a fantastic insight into the details that facial recognition software can amass about consumers. Among those details are the gender of the target, approximate age, facial expression (which is rated by a smile score), attentiveness score (that registers how long the customer looked at the sign), and even details about whether they are wearing glasses. It comes as a shock to see this level of technology in action. However, its use really shouldn't be so surprising. In 2012, Facebook bought the Israeli facial recognition firm Face.com in order to be able to recognize people within photos. Amazingly, since then Facebook’s technology has got to the point where it can recognize people from the back (something that statistics show even humans struggle with). As if that wasn’t bad enough, in February Facebook bought out yet another Israeli facial recognition software company, called RealFace. Facebook and Peppe’s Pizza aren’t the only firms that are using facial recognition, either. 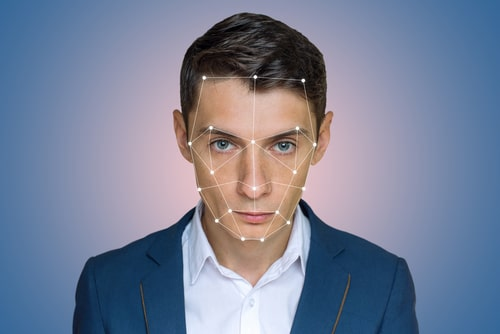 In the UK, the supermarket giant Tesco announced that it was planning to use facial recognition in its petrol stations back in 2013. At that time, Tesco announced that by building up a database of people’s faces (and what they tend to purchase) it would be able to target specific adverts about special offers to consumers while they were at the pumps. In essence, these ads up-sell products in order to tempt customers into coming into the petrol station (rather than just paying with a card at the pump). That was four years ago. If the evidence coming out of Oslo is anything to go by, then it seems highly likely that Tesco (and other firms) have also begun using facial recognition in order to scan their customers. Not All Bad... or Is It? Despite the nefarious uses for this type of technology, firms claim to want to use it to do good. An Apple patent from 2015 reveals that Apple is actively seeking to add facial recognition to iPhones in order to allow users to unlock their device with their face. Likewise, the Israeli firm that Facebook recently acquired mainly focuses on cybersecurity and using facial recognition to authenticate users. On the surface, this might seem like a leap forward for security. Banks certainly seem to think so and have been trialing biometrics including retina scans and fingerprint scanners for some time. 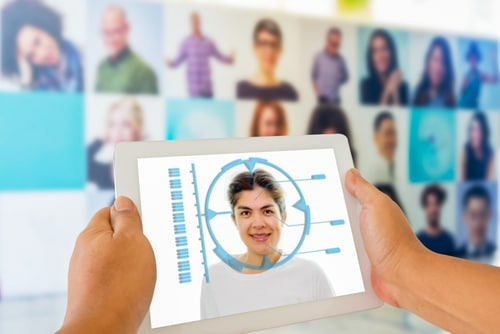 Sadly, the problem with biometrics is that in order for the software to recognize you, it needs to keep a digital reference of your face in a database. The best facial recognition works by gathering 3D multi-point facial feature information about approximately 250 facial points. Those facial points are then translated into a digital code which is stored either locally within the device (in the case of future iPhones, for example), or on a database. 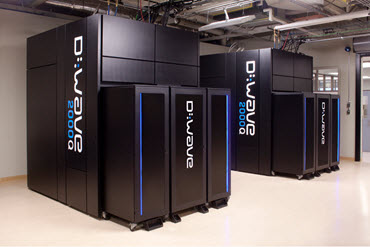 Furthermore, despite the likelihood of strong encryption being used on such a database, the rise of AI and quantum computers (like D-Wave) is quickly becoming a very real issue - that could put even strong encryption at risk. It is not just hackers that we need fear, either. If Apple only stores facial recognition data locally on an iPhone, then arguably the risks are very small. After all, even if you lose your device, without your face anybody who found the phone wouldn’t be able to get at the data inside. However, it seems highly unlikely that the tech giant wouldn’t siphon off people’s faces in order to create a more detailed database of its users. In fact, considering the difficulty that the FBI had getting into the San Bernardino iPhone, it could easily be argued that the technology we already have in our pockets is secure. With that in mind, it is hard not to wonder whether facial recognition isn’t one of those “improvements” that are much more profitable to giant corporations than to us. Take the San Bernardino case, for example. On that occasion, the FBI could have simply held the phone up to the dead man’s face in order to get into it. Hardly the leap forward for security that it at first appears! Picking up your phone and it unlocking automatically when you look at it would certainly be the height of usability. However, can we really trust firms like Apple, Facebook, and Google not to use our faces in ways that aren’t massively invasive? 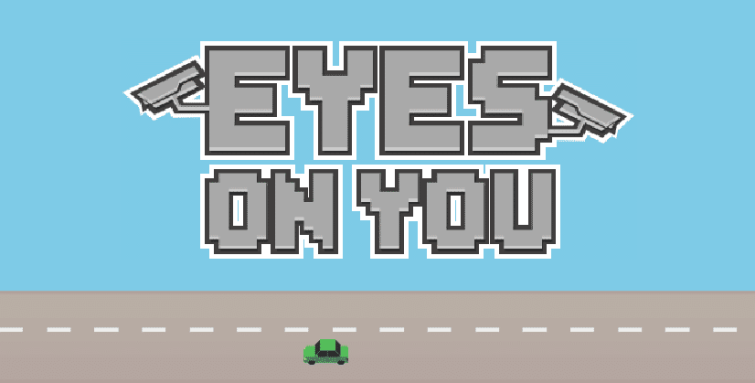 The BestVPN.com Eyes On You Quiz reveals (in a lighthearted manner) that people need to strongly consider what they do in their everyday life if they care about privacy. Nowadays, our personal data is worth a lot of money. In the US, for example, the Trump administration has made it legal for Internet Service Providers (ISPs) to sell people’s search histories. This is a hugely invasive alteration to US laws, in a nation that is already considered bad for privacy. A top VPN is by far the best solution for keeping your data private at home. However, as the Oslo digital sign reveals, in the future we may have to think hard about the technologies we agree to use. In reality, consumers have power. If they don’t want a phone with facial recognition then they should send manufacturers a strong message by refusing to buy them. People need to wake up to the level of surveillance that they are living under. That is why we strongly encourage people to take the Eyes On You Quiz and share it with their friends and family to raise awareness about this issue. Facial recognition is used by *** (https://en.wikipedia.org/wiki/Dating_(activity)) & burglars : 1 - this dream comes from the ambition of mormon church : compatibility & dna record (database !). 2 - if you are eating a pizza at oslo , you are not at home ;) 3 - it was also used for helping blind person & mission rescue in a military operation (missing). 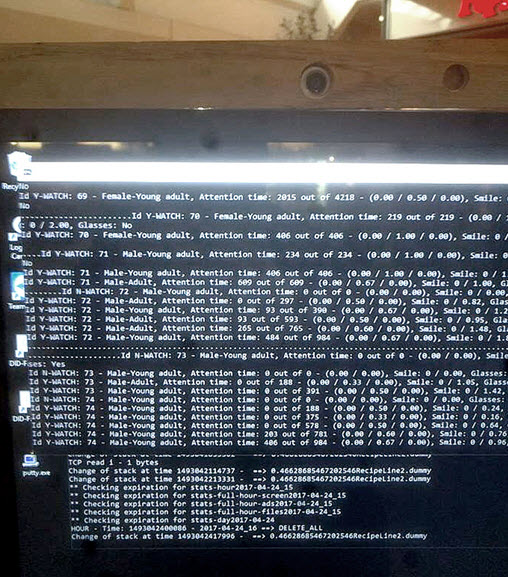 4 - obtaining a fake identity using this app is easy (eyes & ears are running like quantum computer accepting all the responses as true - obviously the electronics sensors can be falsified : compromised firmware is a good example and using exploit or hacking by rootkit another, monitoring is also possible). 5 - ads/statistics (you are a consumer so how many ***pizza do you eat per day and what is the product you would like test/try today ?). It has not failed but cannot be managed with a high level of precision & security ; it is the reason why it became a public app_gadget. The danger is the usage for criminal activities (https://de.wikipedia.org/wiki/Acte_gratuit) especially inside a rogue-state (https://en.wikipedia.org/wiki/Rogue_state) by a group (gang of civil servant e.g.) or individual (terrorism, rancor e.g). Some rogue-state are famous for delivering a perfect fake legal legitimacy (u.e , france, vatican -whith the involvement of the anglican church is well known- south africa (mercenaries & police = hunters), monaco & high jewelry ... Do you need to be targeted by this app before to be hit ? yes, of course but it is not because you will shoot the photo of your murderer that he will be arrested (without errors or not). Quantum Computer is not yet ready (international joint-venture & labs are working on this subject for obtaining the subventions like do some researchers that are looking at the sky hoping that flying saucers show them the road to the paradise : another star dressed in gold & diamond , just an illusion , a parabolic of the cupidity ). A personal/public guard or the next victim chosen in the street by chance ? An official/private adviser or your identity revealed at anyone everywhere ? The better opportunities are reserved for the slyest ; the digital code of his face should not be recorded and a quantum computer should be programed to avoid it. I expect that the new iPhone will offer the option of using a password instead of facial recognition, as it does now with the password as an option instead of using a finger to start up the device. People will probably be able to continue to use the next iPhones with reasonable security and privacy by using a good VPN and browser and avoiding the use of iCloud. And by using the iPhone's privacy options. And by not using the facial recognition option. The facial recognition at the pizza place is probably an early use of something that will be widespread in a few years. I do not like that at all.